That Wagner conceived of himself creatively as both man and woman is central to an understanding of his life and art. So argues Jean-Jacques Nattiez in this richly insightful work, where he draws from semiology, music criticism, and psychoanalysis to explore such topics as Wagners theories of music drama, his anti-Semitism, and his psyche.Wagner, who wrote the libretti for the operas he composed, maintained that art is the union of the feminine principle, music, and the masculine principle, poetry. In light of this androgynous model, Nattiez reinterprets the Wagnerian canon, especially the Ring of the Nibelung, which is shown to contain a metaphorical transposition of Wagners conception of the history of music: Siegfried appears as the poet, Brunnhilde, as music, and their union is an androgynous one in which individual identity fades and the lovers revert to a preconflictual, presexual state.Nattiez traces the androgynous symbol in Wagners theoretical writings throughout his career. Looking to explain how this idea, so closely bound up with sexuality, took root in Wagners mind, the author considers the possibility of Freudian and Jungian interpretations. In particular he explores the composers relationship with his mother, a distant woman who discouraged his interest in the theater, and his stepfather, a loving man whom Wagner suspected was not only his real father but also a Jew. 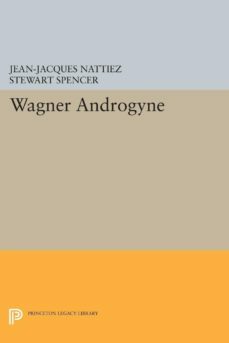 Along with psychoanalysis, Nattiez critically applies various structuralist and feminist theories to Wagners creative enterprise to demonstrate how the nature of twentieth-century hermeneutics is itself androgynous.Originally published in 1993.The Princeton Legacy Library uses the latest print-on-demand technology to again make available previously out-of-print books from the distinguished backlist of Princeton University Press. These paperback editions preserve the original texts of these important books while presenting them in durable paperback editions. The goal of the Princeton Legacy Library is to vastly increase access to the rich scholarly heritage found in the thousands of books published by Princeton University Press since its founding in 1905.